amyriah is using Smore newsletters to spread the word online. Why was George Wilkins Kendall important? George was important to the sheep industry because he set up 5,000-acre ranch east of Boerne. Although they had problems with drought, disease, and native americans, he still encouraged people to come to texas and raise sheep. All that land he set up had helped Texas raise and start a sheep industry. Even better they gathered more after the Civil War. 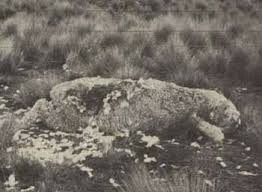 Ranchers who raised sheep faced the hostility of cattle ranchers and farmers. They also built fences to protect the sheep. Because they complained that the sheep would cut the grass to much.